United Nations chief Ban Ki-moon made a brief visit Tuesday to war-ravaged Gaza, two days after donor states pledged $5.4 billion in aid to rebuild after a devastating Israeli offensive. He was driven through the ruins of Gaza City’s Shejaiya neighborhood and the nearby Jabaliya refugee camp, the scenes of some of the heaviest shelling in Israel’s military assault. Tens of thousands of Palestinians were displaced by the destruction, and on Tuesday people camping outside their ravaged homes were seen waving at the convoy of white UN vehicles as it passed. 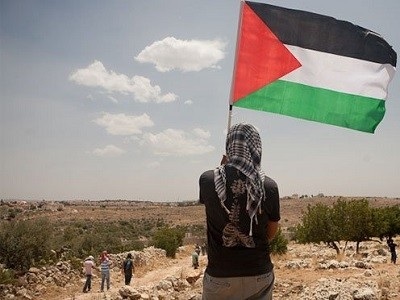 After meeting members of the newly convened Palestinian consensus government, Ban told reporters that the devastation he had seen was far worse than that caused in the previous Israel-Gaza conflict of winter 2008-2009. “The destruction which I have seen while coming to here is beyond description. This is a much more serious destruction than what I saw in 2009. “I’d like to take this opportunity to express my deepest condolences to people who lost their lives… and loved ones,” Ban said. Ban, who last visited the territory in 2012, said at a donor conference in Egypt on Sunday that his trip to the Palestinian enclave was “to listen directly to the people of Gaza”. At the Cairo conference, Ban said “the root causes of the recent hostilities” were “a restrictive occupation that has lasted almost half a century, the continued denial of Palestinian rights and the lack of tangible progress in peace negotiations”. On Tuesday he urged Israeli and Palestinian leaders to revive collapsed peace talks without delay.